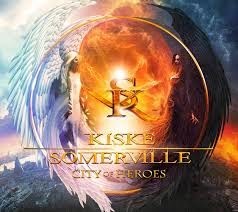 The long awaited second project from Kiske/Somerville, titled City of Heroes will finally be released April 17 (in Europe) and April 21 (in North America). This new release brings us 12 new songs. 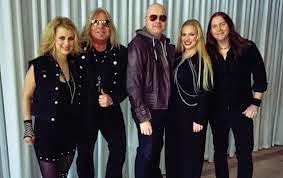 As a big fan of Amanda Somerville's work with Avantasia, and Michael Kiske's Place Vendome, and Unisonic, I am really excited to hear these two talented artists work together again. Joining them on this new release are Magnus Karlsson from Sweden on guitar and on bass is Matt Sinner of the band Sinner, Primal Fear, and Voodoo Circle. On drums, we have someone new to me, the much talented Veronika Lukesova. Matt Sinner and Jacob Hansen both produced this long awaited release. 1. "City Of Heroes" - The first single and video which starts the cd with a bang! Kiske starts out the song with Somerville flowing seamlessly with this duet team. The drums stand out perfectly and the guitar work of Karlsson makes this a memorable piece of music. A very catchy tune that has me singing along. 2. "Walk On Water" - This is the second single and video which is like most songs on the CD, catchy and easy to sing along with in the chorus. More mellow than the first single but well orchestrated with a short but sweet guitar solo to tie it all together. Overall a remarkable song which showcases the musicality and synchronicity of these two vocalists. 3. "Rising Up" - With a little more keyboard standing out from the chorus, it just makes you want to crank it up and sing along with the vocal talents of Somerville. A little more guitar gives a heavier edge and saves it from sounding more like a pop song. Like most of the other songs, the lyrics flow with the melodic tempo of this song. 4. "Salvation" - The longest track on the CD but a story that has me wanting more. The first minute without vocals just builds up until Kiske starts singing and Somerville continues it up right into the powerful chorus. Some heavier riffs from Karlsson which suits me perfectly as I love his work. 5. "Lights Out" - Another chorus that gets you singing with Somerville's vocals that all just flows together. Karlsson shines again with his work on the guitar. 6. "Breaking Neptune" - This is the only song not written by Sinner and Karlsson. Amanda Somerville and Sander Gommans co-wrote this track. Somerville's voice is just magic on this track and shows why these two work so well together. 7. "Ocean Of Tears" - The slowest song on the CD which may outshine all of these great songs. This song truly shows what these two can do as they beautifully step up their vocals together. I normally like the heavier styles Kiske does, but this is a masterpiece of songwriting, musicality and vocals that make this connection such a wonderful piece to listen to. 8. "Open Your Eyes" - I found this switching to more progressive with a faster sound. 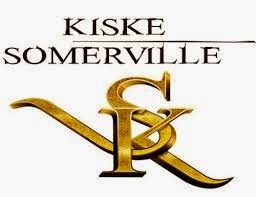 Somerville's voice is smooth as silk as Kiske joins in for more of a rocking heavier edge. Put that all together with the talents of each band member and sounding different than the other songs on this CD which I found makes it a pleasant surprise. 9. 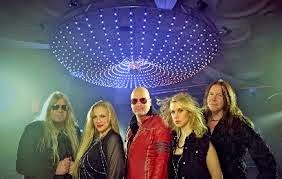 "Last Goodbye" - Kiske starts this track again with an even heavier sound. Sure makes me hope this is really not the "Last Goodbye" from these two artists and this band. The band is synced very well and keeping the CD in the roots of a great rock release. 10. "After The Night Is Over" - The second slow song on this release I had to listen to it a few times and found it to be a story that you feel you are a part of, and when it finishes, you realize how a song can get you wrapped up in the music. 11. "Run With A Dream" - With a combination of softer to a heavier sound, this track has everything you have come to expect from this collaboration of musicians. It really inspires you to really run with your dreams. 12 - "Right Now" - Nothing too heavy here - just a nice melodic ending to a great CD. Great solo from Karlsson and with Kiske & Somerville - the voices of two shining stars brings us to a close. A treat to my ears, and hopefully it won't be another 5 years until these two extremely talented artists meet again. Overall this new release has been well worth the wait and I can't wait to get the actual cd in my hands!